Besides losing hordes of Black men towomen from other races, besides losing Black men as a result of the 1.1 million Black men who are currently incarcerated, and besides losing Black men to the down-low(homosexual) lifestyle as well as the ever increasing homicide rate among Black men today, there are other major factors that are keeping more and more Black women single now than ever before…..
She has a great job, works very hard and she earns six figures annually. She has NO children, she’s baggage-free, and she’s in total control of her own life. She went to college, studied very hard to obtain her degree(s). She’s very attractive, very intelligent, verypersonable, articulate, well versed and seems very interested in everybody and everything……..But yet she’s SINGLE! Or maybe you know this woman! She’s very active in the church. She’s very faithful and totally committed. She sings in the choir, serves on the usher board, and attends every church function and every committee meeting. She Loves the Lord and knows Scripture. You’d think that with her keen knowledge of the Scriptures and the respect of her church members she’d have a marriage made in Heaven……But once again, NO HUSBAND! Or how about the community activist? She’s a Black lady, or as she would prefer you to call her, a Strong, Independent, African American woman on the move. She may be sportin a short natural; or sometimes cornrow braids or perhaps even locked hair. She’s a wonderful community organizer, a greatmotivator and a cultural dynamo. Her work for Black people speaks volumes for itself–organizing women for self-help,raising funds for a community cause and educating many others regarding new political, economical and social needs in the surrounding neighborhoods. Many Black folks look up to her while white folks know she’s a force to be reckoned with…..But again, this quality African American woman is NOT MARRIED! 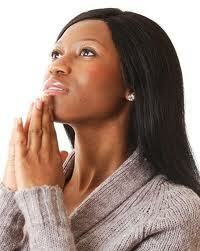 They hold special prayer vigils and fast and pray and beg Jesus to send the Black men back to church. They may occasionally experience some quality Brothas attending Church functions, political rallies, or participating in protests and or other community functions, but when it’s time to go home, those quality Brothas all go home to someone else. After asking over and over again “What’s wrong with Black men?” It never ever dawned on many of the above Black women to ask themselves…. What I have found out and what many of today’s Black women have yet to discover, is that…. “LADIES, PLEASE UNDERSTAND….HIGHER EDUCATION OR A GREAT PAYING JOB “DOES NOT” ENTITLE YOU TO A GOOD MAN, NOR DOES IT ENTITLE YOU TO A “PERFECT” RELATIONSHIP! However, relationship-building requires a whole different set of skills and requirements altogether. It requires making decisions that are NOT only gratify to you, but also making decisions that are very satisfactory to your partner as well. Black women it means thatsometimes you may be required to do the things that will keep the peace rather than achieve the goal. And sometimes it may even require you to take the high-road and create the peace in the first place. Maintaining a harmonious relationship will NOT always allow you to take the straight and narrow road between two points. Sistahs, sometimes you may have to stoop in order to conquer, or sometimes you may be required to yield in order to win. The saddest thing regarding many Black women today is that many of them have been mentally conditioned by feminism and mainstream society to embrace a very destructive,anti-man attitude. By that I mean feminism has taught most of them that in order to be “PRO-WOMAN” they have to become “ANTI-MAN”. 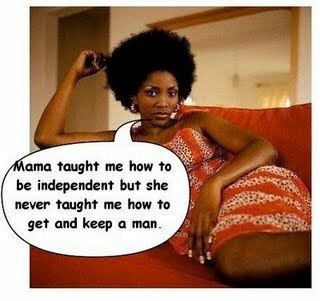 Feminism has also mentally conditioned multitudes of Blackwomen today that a woman (namely a self-sufficient, professional Black woman) isweak, oppressed and very passive to a man especially if she makes a conscious decision to take good care of him in the more traditional ways that most women were taught to by their (traditional) mothers, grandmothers and or aunts in the past. 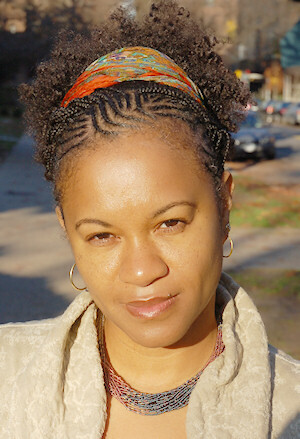 In other words, professional or career-oriented women today who strongly desire to learn how to cook for their husbands and who strongly desire to take very good care of his home as well as his children in more traditional ways are frowned upon, and in many casesscorned by today’s contemporary feminist Black women. 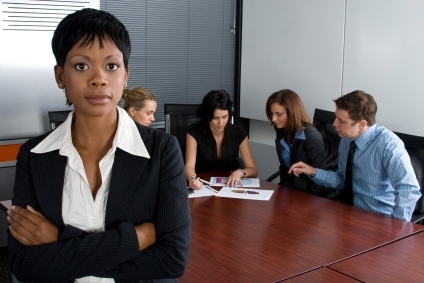 Traditional Black women today (professional or nonprofessional) are classified as beingweak, passive, old-fashion and very outdated by modern-day feminist Black women. They are NOT classified as strong, nor are they considered independent. Today’s feminists foolishly believe something is definitely wrong with wanting to be a “traditional” family-oriented Black woman. Black woman, in too many cases when dealing with Black men you will have to sometimes sacrifice being right in order to enjoy being loved. For Example: Being acknowledged as the head of the household is an especially important thing for many Black men today since their manhood is actively challenged everywhere else. It does not matter to him that you earn $10 more a week than him. Not at all!!! So they end up without one!!!! This entry was posted in African people, Black community, black people, Black Women and tagged Africa, African, African Americans, African-American, America, Angela Bassett, Black, Black America, Black community, black family, Black history, black love, Black men, black people, black power, Black Pride, Black thought, Black women, commentary, community. Bookmark the permalink.